The Oz Family Kitchen: More Than 100 Simple and Delicious Real-Food Recipes... Only $21.41! You are here: Home / Great Deals / Amazon Deals / The Oz Family Kitchen: More Than 100 Simple and Delicious Real-Food Recipes… Only $21.41! The Oz Family Kitchen: More Than 100 Simple and Delicious Real-Food Recipes… Only $21.41! 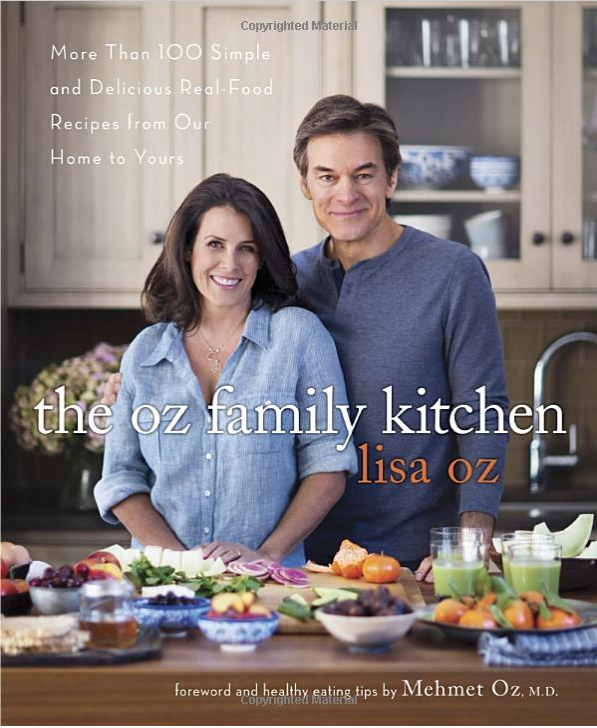 Head over to Amazon to get a copy of The Oz Family Kitchen: More Than 100 Simple and Delicious Real-Food Recipes From Our Home to Yours for Only $21.41! Shipping will be FREE on orders of $35+ or if you have Prime! Don’t have Prime? Start a 30 day FREE trial! Dr. Oz fans are endlessly curious about what he and his family eat. They assume that the family of “America’s Doctor” must live on a diet of broccoli and bean sprouts and be sworn martyrs in the church of joyless nutrient consumption. This couldn’t be further from the truth. The Oz family (including Lisa’s husband Mehmet) love food. It just has to be good food–not processed, artificially flavored or filled with empty calories. The Ozes understand the power of food and its ability to heal, and in The Oz Family Kitchen they will, for the first time, share their knowledge, passion and recipes.